Fairway Drivers deliver confidence in both driving and approach situations. For many players, Fairway Drivers provide nearly the same distance as Distance Drivers, but with added control and accuracy. Newer players will find these discs easy to control. Many World Championships were won using Fairway Drivers. 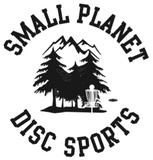 These discs can inspire a new level of confidence in your game. Improve the level of your game with the superior control of the Fairway Drivers.